Romhacking.net - Review - A good idea, at least. 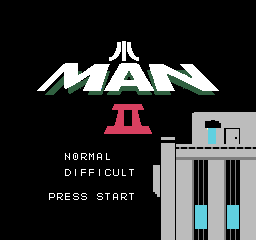 This is a graphical hack of Mega Man 2 made as an homage in the style of Atari 2600 graphics. 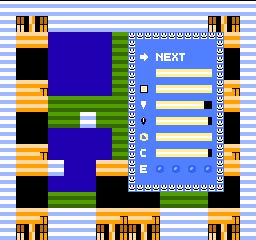 This patch is to be used on the American Mega Man 2. A good idea, at least. 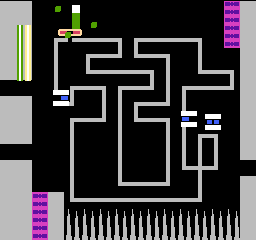 But it’d benefit from learning what the 2600 could actually do. 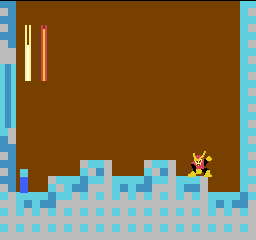 These graphics are both too detailed (the 2600 sprites required you to use the same colors in a horizontal line), and not nearly detailed enough. 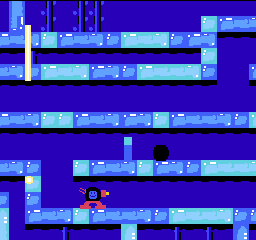 But still, it’s a great idea, and I’d love to see a hack with the actual graphics from the real Megaman 2600 demo homebrew cart. Look it up on Youtube.